Sometimes the simplest flavor combinations are the best. Protein rich, low-carb almond butter is kissed with a just enough cinnamon sugar to feel like a treat. If you’re cutting sugar completely out of your diet, no worries! 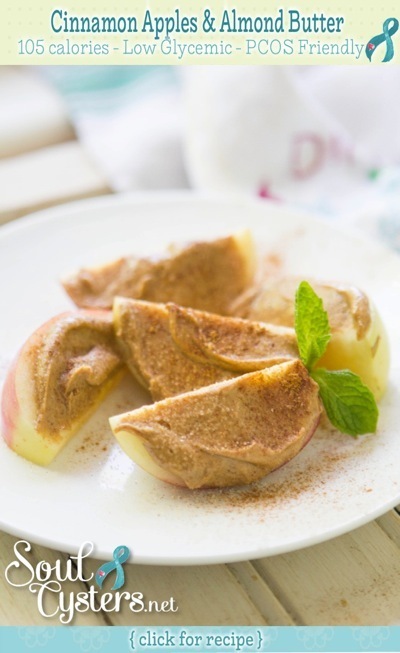 Just sprinkle with cinnamon and this recipe still tastes divine! Core and slice apple. Spread almond butter on one side of each slice. 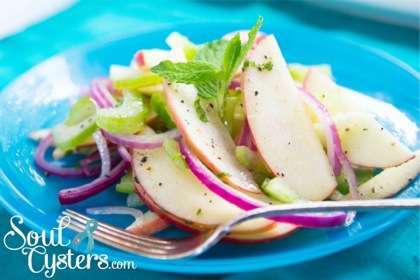 Arrange on a serving platter, sprinkle with cinnamon sugar. Serve immediately. 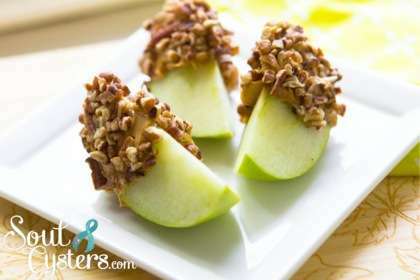 If not serving immediately, or toting to a party, drizzle cut apples with a bit of fresh lemon juice before spreading the almond butter.